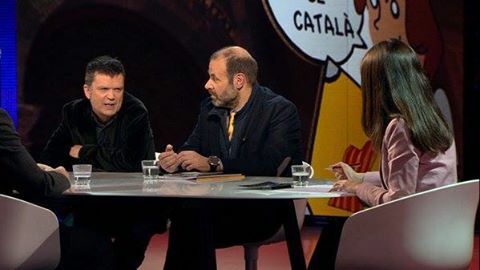 El Punt Avui TV debate on new media as a driver for language revitalisation. El Punt Avui TV debate in the European Parliament with Davyth Hicks (ELEN Secretary-General), Oscar Escuder (Plataforma per la Llengua President), and Luca Tomasi (DG Education and Culture), on new media as a driver for language revitalisation. UN Forum for Minorities (Europe), May 6-7th 2019, Brussels.